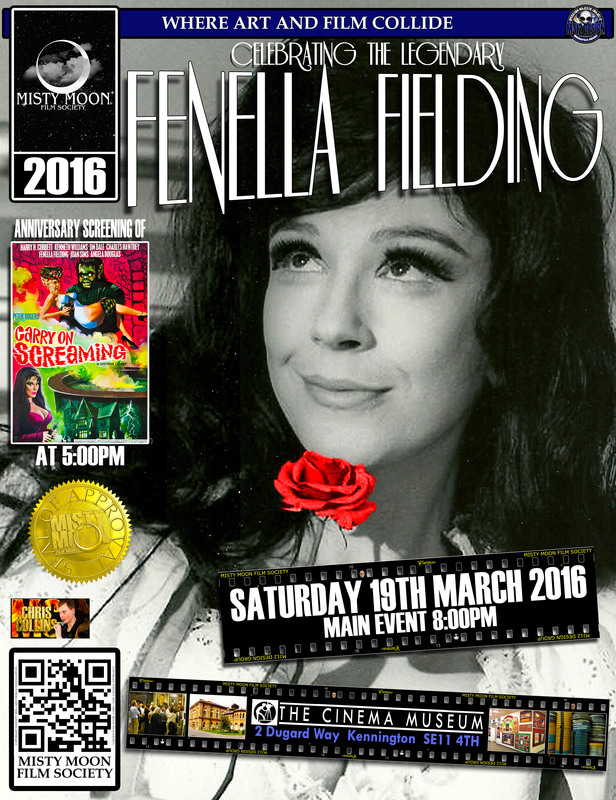 Celebrate 50 years of Carry On Screaming at The Cinema Museum on Saturday the 19th March with a special screening of the film at 5pm and then an evening dedicated to the legendary Fenella Fielding at 8pm. Fenella will start the evening off in style with a recital of something very special and then she will take part in a Q&A. There are limited tickets available for this unique event.